Converting CO2 in fossil-free chemicals and products is now possible The project aims to convert industrial CO2 streams to value added Fischer-Tropsch chemicals. Decarbonisation is nowadays a key issue in both political and industrial agendas. Due to the high rate of CO2 emissions to the atmosphere – which are continuously arising all over Europe and worldwide – research is needed to find ways to mitigate such trend. The research of ICO2CHEM provides a solution to reconvert waste CO2 into a resource. The major impact of this new approach is related to the reduction of the environmental impact at any level; from CO2 mitigation to waste management, following a route that promotes the re-conversion and re-use of CO2 into useful products ready for the market. Waste is thus transformed into consumer products, industrial products, energy, going towards what is called the circular economy. The EU Integrated Strategic Energy Technology Plan – SET – focuses on decarbonisation by means of actions like Carbon Capture and Sequestration (CCS) and Carbon Capture Utilization (CCU) technologies. And here it comes to ICO2CHEM, the EUfunded international project aimed to demonstrate on the field a CCU pathway by catalytically converting CO2 into chemicals. 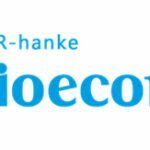 + Project info: Started in October 2017, ICO2CHEM has an international partnership made by Finnish German and Italian top level industries, academic and research centres aimed to transform CO2 in chemicals for high-quality industrial production, enlightening a typically perceived polluting sector, with a brand new environmental friendly pathway. Moreover, the aim is to develop a new production concept in order to convert CO2 emissions into value added chemicals with particular reference to the production of so-called white oils and high molecular weight aliphatic waxes – important chemical feedstocks that are nowadays fossil-based only. The technological core of the project is the combination of a Reverse Water Gas Shift reactor (RWGS), coupled with an innovative modular (FT) FischerTropsch reactor. The Industriepark Höchst, in Frankfurt, Germany, will be the hosting place for the containerized pilot plant, which will convert CO2 to raw materials for chemicals. The outcome of the process is therefore ready to get in the production of many sectors like primary raw materials, secondary materials, packaging for any field including food and beverage, at disposal of the worldwide consumer brands. + Process details: The pilot plant will convert CO2 from a biogas upgrading plant together with industrial H2 a by-product of a chloro-alkali electrolyzer plant, into highly valuable white oils and high molecular weight aliphatic waxes The pilot plant consists of innovative RWGS and FT reactors, supplied by INERATEC. The RWGS step will convert CO2 with H2 into a synthesis gas mixture (CO + H2). The following FT reaction step will convert the synthesis gas into the chemical products. The FT reactor will be equipped with a novel Co-based catalyst with enhanced selectivity and lifetime, supplied by VTT. The project partner Altana will utilize the white oils and wax emulsions as a raw material for chemical products, such as coatings and sealant materials, and benchmark the properties of the raw material against the fossil-based material. + Innovation potential: ICO2CHEM not only foresees at developing a novel feasible CO2 economic route but also enlightening further knowledge about the entire process as well as the FT catalyst. The project coordinator VTT will develop a novel Co-based catalyst with enhanced selectivity for specific synthetic hydrocarbons. INERATEC will demonstrate on the field the robustness and reliability of the proposed micro-reactor technology. With the leadership and industrial expertise of ALTANA, the recycled byproduct of the process will be introduced in different chemical markets as those of surface additives, wax additives, defoamers and air release additives, adhesion promoters and coupling agents, viscosity reducers and synthesis of fuels like methane, diesel, jet-fuels, with a significant impact in reducing environmental pollution and emissions. + Photo: Project team at work. 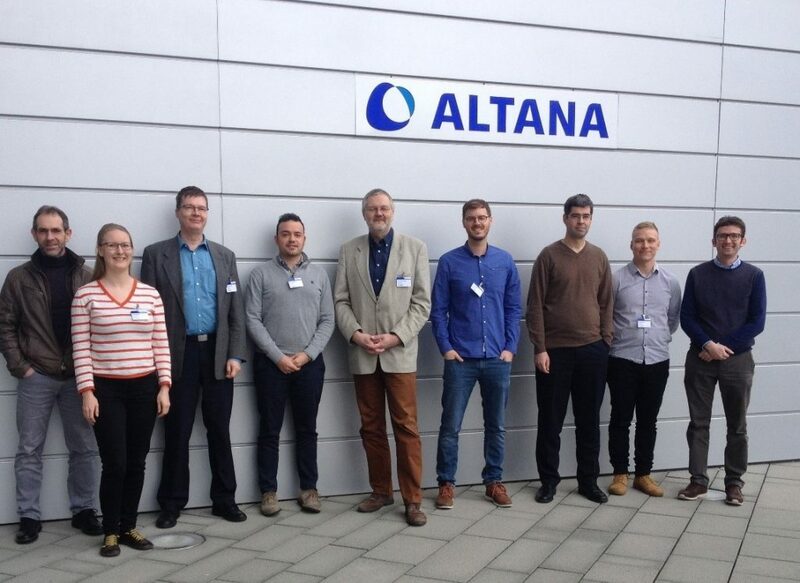 Meeting at the headquarters of ALTANA in Wesel, Germany. ICO2CHEM is an EU Horizon 2020 project. It is funded through SPIRE, the European Public-Private Partnership dedicated to innovation in resource and energy efficiency enabled by the process industries. The project partners are VTT from Finland, INERATEC, InfraServ Höchst, ALTANA, Provadis Hochschule from Germany, and Politecnico di Torino from Italy.